Shamik Das rounds up the reaction to this morning’s growth figures. 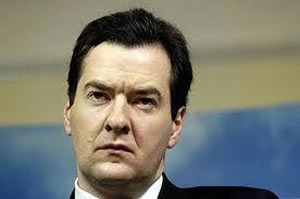 Reaction to this morning’s growth figures, which saw the UK economy grow 0.5 per cent in the third quarter of 2011, will not have pleased George Osborne – and nor will the overnight news from Greece that they will hold a referendum on the eurozone bailout deal, plunging the markets into turmoil. “Today’s figures confirm that the British economy has been bumping along the bottom for the past twelve months – flatlining when we need strong growth to get unemployment and the deficit down. “Already, the stagnant growth and higher unemployment that George Osborne’s failing policies have delivered mean the government is set to borrow £46 billion more than they planned. After today’s figures, the chancellor will now have to downgrade his growth forecasts for a fourth time later this month – and revise up again his borrowing forecasts. “While the Q3 growth rate looks respectable, it is important to remember that this follows a Q2 figure depressed by having fewer working days because of the royal wedding and supply disruptions caused by the Japan earthquake/tsunami. “We should not be fooled by the superficial gloss that ministers will put on this paltry figure of 0.5 per cent. The British economy is still heading towards the rocks of a double-dip recession, unless George Osborne introduces a much-needed Plan B rescue package. “People are losing their jobs and those that have them feel insecure, so they are not going out to spend in the high street – the promised boost in private sector jobs to soak up the job losses in the public sector is an illusion masquerading as a truth. It is clear that more demand needs to be injected into the economy urgently. “Whatever comfort ministers were able to draw from better than expected third quarter GDP figures – up a better than expected 0.5pc – would have been completely snuffed out by the overnight news of a referendum in Greece; it might be good for democracy for Greeks to have their say on the austerity of the bailout programme, but it’s deemed to be extremely bad for the wider sovereign debt crisis. “It is clear that the outlook for the economy has worsened appreciably over the past six weeks. The third quarter got off to a reasonably strong start but by the time it came to an end the financial markets were in turmoil as a result of Europe’s sovereign debt crisis. “Two important sectors of the economy – finance and manufacturing – have already felt the effects of the eurozone’s life and death struggle: banks have found it harder and more expensive to obtain credit, while industry has seen export orders dry up. “As a result, the most significant piece of economic data released today was not that for gross domestic product but the CIPS/Markit Purchasing Managers Index for manufacturing. This showed that activity in October dipped well below the cut-off point of 50 that separates expansion from contraction and was at its weakest since the spring of 2009, when the UK was deep in recession.